As I discussed in the last column, the myth of the single male genius precedes moving image culture, and leaves little room for appreciating the nuance of collaboration. There are, of course, other kinds of collaborations in filmmaking that are worthy of further discussion. 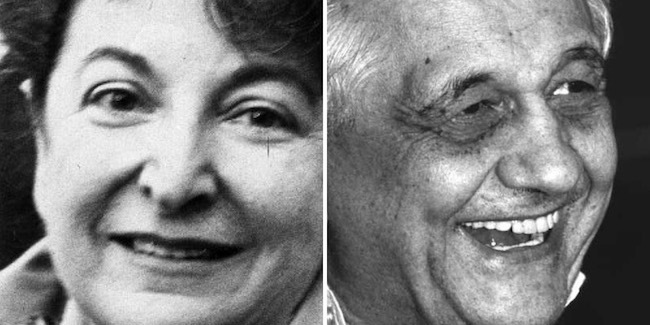 We need only consider the debate between New Wave film critics Andrew Sarris and Pauline Kael to get a general sense of the different approaches to auteur theory. Sarris was wholly of the belief that the director is a film’s author, while Kael — a natural provocateur — explicitly challenged that assumption. Even today, the nuances of their professional relationship and critical positions are still being unpacked by critics like Richard Brody at the New Yorker and Justine Peres Smith at Vague Visages. The issues at the heart of this debate have never really gone out of vogue, and I have no real interest in reducing this to yet another “Team Sarris” or “Team Kael” memorandum. What I do think is of interest, in terms of the questions of diversity that came to the fore during my year of watching films predominantly made by women, is how the roles of key figures in artistic and technical roles other than director are often overlooked. I am by no means suggesting that we should diminish the role of the director; at this particular moment in film history we are seeing a long overdue acknowledgement and recognition of work not just by women, but by people of color and other groups traditionally excluded from cinema’s devotion to the single male genius model. Whose gaze is it, anyway? It would, in fact, be a highly suspicious proposal to depreciate of the role of the director when we finally have filmmakers like Ava DuVernay, Ryan Coogler, and Jordan Peele making such extraordinary, history-making breakthroughs for diversity in mainstream cinema, not only in terms of critical praise but of box office success. But looking at some of the key collaborators these directors have worked with, what I find increasingly fascinating is how the collaborators’ identities complicate the idea of gendering films in line with their director’s identity. Refn also quite famously collaborated with two women — Mary Laws and Polly Stenham — on the screenplay for The Neon Demon, which was based on his own story. This all does not collectively seek to force responses to The Neon Demon towards a progressive or regressive interpretation (remember, films can be both! ), but rather to emphasize the complexities collaboration brings to the hard-and-fast gendering of certain films based on the director. In late 2018, two male-directed thrillers that focused heavily on female sexuality were heavily promoted in terms of the active involvement of their women collaborators. Daniel Goldhaber’s Cam was a surprise smash on the festival circuit before moving to Netflix where it found an even wider audience; Goldhaber himself shared the spotlight enthusiastically with screenwriter Isa Mazzei (upon whose experiences as a cam girl the film is largely based). There are a whole range of other examples of male directors who have worked across their careers with central women collaborators; in terms of editing alone we have Martin Scorsese and Thelma Schoonmaker, Ben Wheatley and editor/writer Amy Jump, Quentin Tarantino and Sally JoAnne Menke, George Miller and Margaret Sixel, and Gaspar Noé and Lucile Hadžihalilović (an extraordinary director in her own right). And to get an idea of the ways in which these relationships are more varied than the simple male director-female collaborator model, we need only consider the long-term collaborations between Karyn Kusama and editor Plummy Tucker, Claire Denis and cinematographer Agnès Godard, or Jane Campion and producer Jan Chapman. While not wanting to undermine the role of the director, an expansion of our critical thinking — that of audiences, film critics, or industry players in fields such as marketing and publicity especially — about the nuances that collaboration brings to our understanding of cinema and authorship can add a deeper dimension to our understanding about the gender politics of film. Rather than looking for black-and-white opportunities to tick boxes labelled “progressive” or “regressive”, we might be better served focusing on the richer, more expansive areas in between. 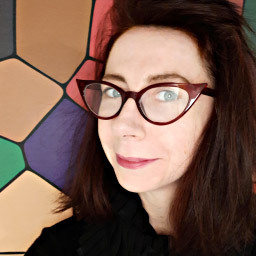 Alexandra Heller-Nicholas is an Australian film critic and academic who has written five books on cult, horror and exploitation film with an emphasis on gender politics and representations of violence. Her research has recently focused on women's filmmaking, co-curating the 2017 "Pioneering Women" program at the Melbourne International Film Festival, and co-editing a forthcoming book on Elaine May. Her sixth book, 1000 WOMEN IN HORROR, is due for a 2019 release.